Fiber is an essential aspect of a healthy diet and lifestyle. Getting plenty of fiber in your diet, along with drinking lots of water, will keep you regular, which in turn helps to cleanse your color and keep your digestive system in top working order. 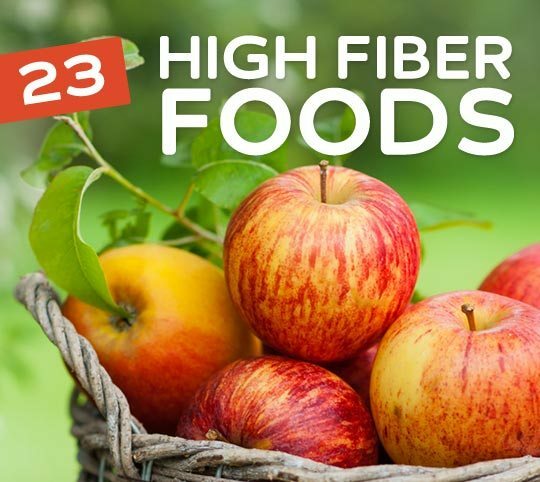 Eat plenty of high fiber foods to stay regular and healthy. As the saying goes, “An apple a day keeps the doctor away.” Eating an apple each day will provide many health benefits, including contributing to your fiber intake. A medium-sized apple contains about 17% of the daily recommended value, with less than a hundred calories. In addition, an apple’s high water content helps the fiber do its job of keeping you regular. It’s best not to peel an apple before eating it, since most of the fiber is in the skin. Most people equate grains, fruits, and vegetables with a high-fiber diet, but walnuts are a fiber-rich food that often gets overlooked. Just a handful of walnuts, or one ounce, contains about 2 grams of fiber. Crack your own walnuts with a nut cracker, or pick a bag up from the grocery store for a great snack on the go. Walnuts also make a tasty and healthy addition to salads and desserts. Sweet corn is a staple at summer barbecues, and it should also be a staple in a high fiber diet. One cup of corn on the cob provides the body with about 12.1 grams of fiber. Eat corn the old-fashioned way—as a side dish—or add it to soups, salads, and chili to enjoy it more often. Just make sure it’s organic and not genetically modified. Enjoy a serving of oatmeal for breakfast every day and you’ll be doing your body a huge favor. Because of its high soluble fiber content, oatmeal is one of the best foods for lowering cholesterol. It’s also a great way to kick-start your system in the morning, helping your body stay regular throughout the day. Though you can enjoy oatmeal on its own, many people add their favorite berries into the mix in order to sweeten it up and add even more fiber to their morning meal. Most people know that beans such as lentils are an essential part of a high fiber diet that keeps the body regular. But did you know that lentils are also high in protein, folate, vitamins, and iron? It’s easy to add lentils into your diet by cooking them with rice, adding them to soups and sauces, or seasoning them with herbs and spices for a tasty side dish. Add just a cup of lentils to your diet each day for a whopping 63% of your recommended daily fiber. Don’t let this exotic vegetable intimidate you. Artichokes are easy to prepare, and their unique flavor and high fiber content make them even more enjoyable. A medium artichoke provides almost half the daily recommended amount of fiber, along with other nutrients and minerals. Artichokes also have a higher water content than traditional sources of fiber such as breads and pasta, so they’re a great addition to a balanced high fiber diet. Broccoli is a tasty green veggie that is high in fiber and other nutrients. One cup of chopped raw broccoli provides just over two grams of fiber. Steamed or cooked broccoli has slightly less, but it makes an easy and tasty side dish to pair with chicken, fish, or beef entrees. Raw broccoli makes a great midday snack, either by itself or over a salad, so enjoy it often as part of a healthy, fiber rich diet. Shredded Wheat Cereal and others like it are a great way to start a healthy day if you’re trying to get enough fiber in your diet. Shredded Wheat will give you an early energy boost and keep you feeling full well into the morning. A one-cup serving providing you with up to 24% of your fiber for the day. Brussels sprouts are packed as full of fiber as they are with flavor. Many people who haven’t tried Brussels sprouts since childhood might need to get used to the taste, but fortunately, there are plenty of ways to prepare these cruciferous treats so they can appeal to any palate. A cup of cooked Brussels sprouts provides about 16% of your recommended fiber for the day, so adding a few servings to your diet each week makes a big difference. A staple in the Mediterranean diet, bulgur is a good source of both protein and fiber. Try adding a little cinnamon and honey to cooked bulgur instead of eating sugary cereals or pastries for breakfast. It also makes a subtly flavorful addition to salads, soups, and rice dishes. The fiber in bulgur (over eight grams in a one-cup serving) helps to maintain the health of your colon by keeping you regular. Brown rice is highly rich in insoluble fiber, making it an excellent food to add to a healthy, fiber rich diet. The insoluble fiber in rice helps relieve constipation and helps keep you regular. Add a serving to your diet once a day or a few times a week to keep your body functioning in tip-top shape. Each one-cup serving contains about 3.5 grams of fiber, or about 14% of the recommended daily value. Brown rice provides many health benefits, and it’s easy on your wallet, too. If you’re wondering how to get more fiber in order to keep your system regular, navy beans are arguably the best thing you can add to your pantry and your diet. A one-cup serving of cooked mature navy beans contains 19.1 grams of fiber. That’s over three-quarters of the recommended daily value. It’s easy to consume one cup a day if you add beans to rice, soups, and dips, or season them with olive oil and spices for a flavorful and virtually fat-free side dish. Like most legumes, garbanzo beans are known for their high fiber content. In addition to leaving you feeling you full for longer, a one-cup serving of garbanzo beans stocks your body with about 12.5 grams of fiber, or around 50% the recommended value. Many people enjoy eating beans daily, but several servings a week (as part of a healthy, fiber rich diet) can help keep you regular and will contribute to the health of your colon and digestive system. If you love to eat white pasta, consider switching to whole wheat pasta for its numerous health benefits. White pasta is processed, which means it contains simple sugars and none of its natural fibers. Whole wheat pasta, on the other hand, is unprocessed and is a viable source of fiber. A cup of cooked whole wheat spaghetti for dinner may help you reach your fiber quota for the day; it brings over 6 grams to the table. Figs aren’t always the first things that come to mind when someone mentions fruit. But if you get to know figs a little better, you’ll find that they’re not only tasty, but they’re rich in fiber, too. Eating dried figs in moderation can prevent constipation and keep you regular. Dried figs make a great, quick snack when you’re on the go, and you can incorporate them into cookies and cakes for a sweet treat with a healthy side. Prunes contain about 7.1 grams of dietary fiber per serving—about 28% of the recommended amount for the day. Adding prunes—and therefore fiber—to your diet can help relieve constipation and the uncomfortable symptoms that come with it, such as bloating, cramps, and loss of appetite. Because these fruits are so filled with fiber, it’s a good idea to drink some water with each serving. Plenty of water is essential in helping dietary fiber do its job. Asian pears, also called apple pears, are full of nutrients. In the fiber department, Asian pears provide soluble and insoluble fiber, both of which your body needs. Many people eat these fruits in salads, with cheeses and spreads, or sliced like an apple. However you choose to enjoy them, your body will benefit from over 4 grams of fiber, or about 18% of the recommended amount for the day. Almonds are an obvious choice for a high fiber diet that will help keep you regular. They make a delicious snack that’s as easy as it is healthy. And with many other health benefits, you’ll find that consistently adding a serving of almonds to your day leaves your body looking and feeling better all around. In addition to providing 3.4 grams of fiber, a one-ounce serving of almonds helps promote weight loss, heart health, and bone strength. Bread is an important part of a balanced diet, and whole wheat bread, in particular, is high in fiber. When consuming toast, a sandwich, or another snack or meal that includes whole wheat bread, be sure to drink plenty of liquids (preferably water) along with it. Lots of water is essential in a fiber rich diet, as it helps the fiber do its job in cleansing the colon and keeping you regular. Spinach is one of those super foods with seemingly countless health benefits. Raw spinach leaves are loaded with calcium, iron, vitamin C, antioxidants and more. It also contains fiber, which means it’s a natural cleanser for the colon, and it works to keep you regular. It’s easy to consume lots of spinach, as it’s one of the most versatile foods imaginable. Dress it up in a salad or add it to sandwiches, soups, pasta, sauce, and much more. If you’ve ever eaten beets, did you know that you can also eat the leaves at the top of the beet? Beet greens are loaded with vitamins C and A, folate, and fiber. 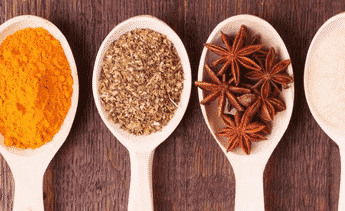 They’re also packed with a rich, unique flavor, and pairing them with savory spices such as garlic, onions, pepper, or olive oil can help make them a tasty complement to many entrees. Toss them in a green salad with other vegetables for a fiber rich meal you’ll love. Eating carrots regularly can reduce cholesterol, regulate blood sugar, and improve eye health. Also, because of the rich supply of fiber, carrots can help prevent digestive disorders and gastric ulcers. Fiber is an essential part of a healthy diet, and eating just one medium-sized carrot accounts for about 7% of the recommended value for the day. Raspberries are a wonderfully nutritious food that is both low in calories and high in vital nutrients, especially fiber. Enjoy these sweet berries in moderation as part of a high fiber diet; a one-cup serving provides for about 32% of your daily recommended fiber needs. To get your one-cup serving each day, enjoy a handful of raspberries with your oatmeal or yogurt at breakfast, over a salad at lunch, and as a sweet treat after dinner. Getting lots of fiber in your diet, along with plenty of water, has many health benefits, including keeping you regular and curbing hunger for longer. A high fiber diet also reduces the risk of heart disease, obesity, and diabetes, so add lots of healthy, high fiber foods to your plate each day to enjoy a healthier mind and body. whats the best veggie and fruit that will help you lose weight fast? If its fruits and veggies you’re concerned about, I recommend you stay away from anything with sugar. Your body can only process so much sugar at a time ( somewhere between 3-7g), and everything else becomes stored fats to use as energy later. This means when you go for your run or your workout, you’re burning off the sugars you consume thats day, as opposed yo burning off body fat. Green tea is also essential. It is known to boost your metabolism so you can burn more calories throughout your day. This is also the reason breakfast is an important meal in wheight loss ( kick start your metabolism that day). I’m starting to get sidetracked now so I’ll leave it there. Goodluck with your goals!